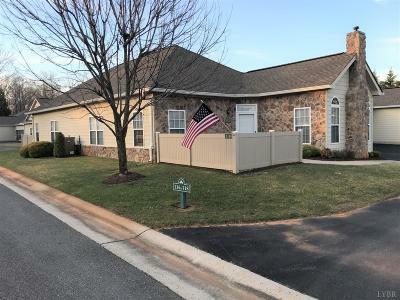 This open concept Condo is in move-in-ready condition with Vaulted Ceilings in the Great Room, Dining Room, and Kitchen, 2 Full baths with walk-in closet in master. Recent upgrades include stainless steel apliances, ventless gas logs, Heat Pump and water heater, neutral paint throughout, with privacy fenced patio and 2-car Garage. Association fees include: walkways in grassy area for exercise, exterior maintenance and insurance on condo, water / sewer, a fantastic club house with heated pool, library, exercise room, trash pickup twice a week, road maintenance and snow removal of sidewalks, roads and parking areas.